2.6 kilos of perfectly sliced ham, from a 100% Iberian breed pig fed on acorns during the montanera -season, which has been cared for and cured to its optimum point. 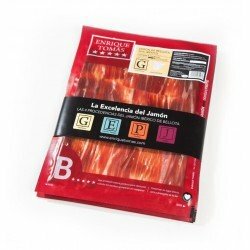 The Travel Pack is a very comfortable travel or gift pack, made to enjoy and take advantage of the maximum performance of a piece, in this case Bellota 100% Iberian ham. 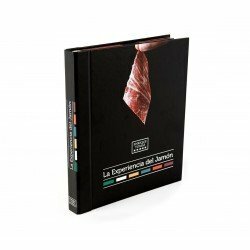 If you don't master the techniques of slicing ham, this pack of Pata Negra ham will allow you to enjoy without worries, the best sliced product in individual sachets, ready to open and taste. What's included in this pack? Enrique Tomás' goal is to make people enjoy ham and if it is difficult for you to cut a whole piece at home, we have the solution. The Travel Packs are packages of 2.6 kilos of jamón and 1.4 kilos of paleta -ham shoulder, which guarantee the maximum performance of the piece you want to acquire. 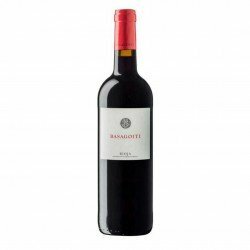 A practical and perfect format to give as a gift, take on a trip and have at home to consume at your own pace. 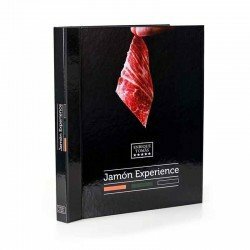 Cutting jamón is an art, but if you don't master the technique follow our advice and enjoy the best jamón ibérico in the world with Enrique Tomas Travel Packs. Sachets of ham or sliced ham shoulder and of course, the famous ham cubes and shavings for tapas or to prepare the sandwiches of the children of the house. If your passion is to eat jamón and not cut it by hand, let our professionals take care of it.